This may seem like an insurmountable challenge at first glance. Getting orders to customers in two or three days is already a major challenge. Shrinking that window down to hours can seem close to impossible – especially given the unique product mix that you will be offering to customers and the associated costs required to hit these service levels. There are obvious challenges in creating a supply chain execution strategy that can handle same-day delivery. But it is possible to offer this service at a sustainable cost with the right systems and processes in place. In this blog, we will lay out the technology necessary to make same-day delivery work and propose several potential strategies to support it. Before getting any farther, you may be wondering if same-day delivery is worth your effort. If you have any doubt about your consumer’s expectations, it often helps to execute a market segmentation study to see what your customers expect by line of product – and what your profitability will be by executing on the plan. Consumers may accept longer lead times due to delivery windows for certain product lines (for example, appliances and furniture). Regardless of your market, customer demand for this service is growing rapidly and holds tremendous potential. In 2017, merchandise delivered same-day was valued at $3.35 billion, with a compound annual growth rate of 154 percent from 2013-18, according to 2Flow. Future demand for this service looks extremely promising – McKinsey & Company predicts 20-25 percent of all orders could require same-day delivery by 2025. Let’s start with the distributed order management system. Immediately after an order is received, this software must determine the best place to source an order from based on the consumer’s location and expectations. At a high level, the DOM considers what is being ordered, where that inventory is, what the customer service obligation is, and the total cost of fulfillment. This will keep costs for same-day delivery down as much as possible while hitting the service obligation. From there, the warehouse management system recognizes same-day shipments and either releases those orders immediately based on your business rules (i.e., waveless order processing) or places them into the next wave to hit the carrier cut-off times for that service level. This ensures an order is picked and ready for shipping in minutes, rather than hours. The final piece can also the most challenging – finding the right transportation service provider. You must find a way to get items from your warehouse to the customer that day. Perhaps you can negotiate multiple pick-ups with your existing parcel carriers. You may need to use a local courier or service (i.e., Uber) that transports boxes via car/van or a white-glove service. Once you have identified possible carrier/courier options, how do you consistently find the best option for each customer order scenario? That’s where a multi-carrier shipping solution becomes so valuable. These solutions find the most economical option that still meets the promised delivery date. The best shipping software will also integrate with those local couriers to provide as many options as possible and reconcile the financial side without creating more work for your accounting department. There is no one model that will be successful for every business, but I hope the ideas presented here will make same-day delivery more viable for your organization – or at least serve as a good starting point. A number of rising eCommerce companies have a handful of major distribution centers and (in some cases) up to dozens of cross-dock facilities located near their customers (typically within the domestic U-shaped population curve). Timely runs between the DCs, suppliers and cross-docks – based on current or predicted demand – make sure you have the right inventory available at those smaller facilities at the right time. Orders can then be consolidated at the cross-dock for last-mile delivery to keep costs down. Final mile is often one of the most expensive aspects of providing same-day delivery. This approach can mitigate the transport expense – albeit at the cost of maintaining a local real estate and labor presence. Some of the real estate and/or direct labor costs can be offset by working through in-locale 3PL partners to manage those cross docks. You may not be able to offer same-day delivery on all the items a customer orders, but if you can provide this service on a select number of products, that can be a competitive differentiator in your market. As suggested above, in certain cases, it makes sense to find third-party logistics providers (3PLs) in the right places, i.e. closer to your key consumer bases. These partners can then ship orders straight to customers on your behalf. Even the big guy that everyone keeps an eye on (hint: starts with an “A”), partners with 3PLs to get orders to its customers faster. A major positive to this approach is that it allows you to test the demand and effectiveness of same-day delivery without the large upfront investment or long-term commitment. Yes, you will sign a contract with the 3PL for a set amount of time. But, it will mitigate the need to spend millions building or buying new warehouses, hiring staffs for them and implementing the technological infrastructure. For this to be successful, you need a DOM system that consistently passes the order to a third party when it makes same-day delivery cheaper and/or viable. Improved methods and processes within your warehouse will increase fulfillment speed and allow you to offer same-day shipping. To get products to consumers the same day they are ordered, you have to leverage waveless order processing and/or short-interval waving. It’s the only way to keep up with orders that must be out the door of your DC within an hour or two – while still squeezing out operational efficiencies in increased pick densities. In addition, you may want to open “speed lanes.” These are areas dedicated to one or two line orders for select products that need to be fast-tracked. These orders are generally “ship-alone” products that can be pre-manifested, bulk picked and auto-sorted to carrier lanes for fast execution. It’s also critical to gain visibility beyond just the warehouse. You need to see your warehouse inventory, inventory in your yard, inbound products (from suppliers or manufacturing) and existing outbound demand. Then, you can match product in the drop trailers sitting in your yard – or those arriving at your facility soon – with your existing (or forecasted) orders. Prioritization algorithms will determine what trailers should be at dock doors to meet that day’s customer demand. This increases cross-docking – items are unloaded from one trailer and put right onto another truck to go out for delivery. One other process that will help you achieve same-day delivery is cartonization. Picking straight into the shipping container means you can skip the packing process. You can pre-assign items into properly-sized boxes so the system generates the appropriate shipping labels and the picker grabs the appropriate kind(s) of shipping carton(s) prior to the pick tour. Cartonization is especially valuable for orders with 1-3 lines, and it will go a long way toward getting orders out the door faster. The strategies and recommendations in this blog post can make same-day delivery more attainable for your business. What starts as a “customer-first” business initiative requires tremendous planning, investment and execution to turn into reality. But it is possible. Same-day delivery has become a standard option in many markets, so the sooner you can figure out how your operations can support it, the better. 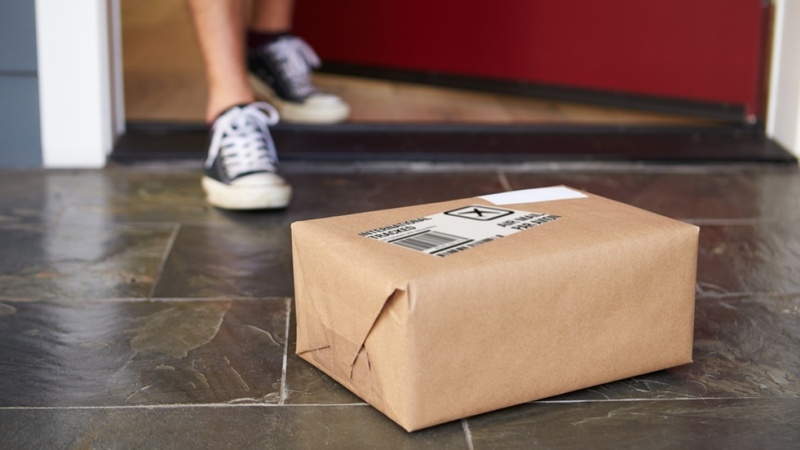 This industry brief on same-day delivery takes a deeper look at the service, why demand for it is growing, what you need to get started, and the future of parcel delivery. I highly recommend taking a few more minutes to read the industry brief if same-day delivery is something you’re interested in or holds potential for your business.